Saint Wenceslas - Duke of Bohemia lived in the 10th century, assassinated in 935. 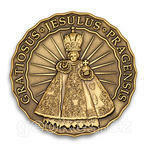 He is seen as the patron of the Czech state. Outside Czech Republic Saint Wenceslas is the subject of a Saint Stephen's Day. Good King Wenceslas carol written in 1853 remains popular even today. Portraited on the horse, on the back side his coats of arms - eagle with flames. 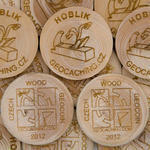 Geocoin diameter is 45 mm, thickness 3.5 mm. Tracking code is on the edge of the coin. 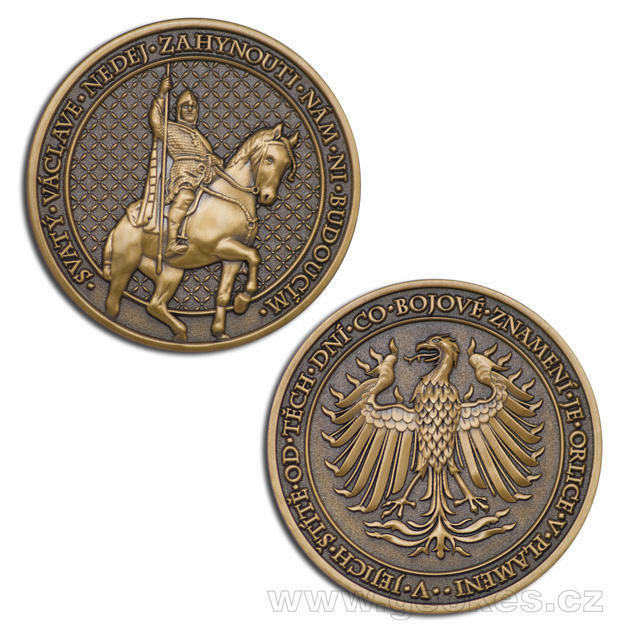 Svatý Václav je náš druhý geocoin věnovaný českým panovníkům, volně navazuje na geocoin věnovaný Karlu IV.